This time SHE has had an excuse but I have had HER make some changes to her schedule so we should be back on track shortly. Thanks for sticking with us! I'd say SHE needs a little practice posting from the iPad. Look at the size of that photo! At least I was a cute little pupper! Have a fabulous Friday Duncan. See you soon. We are HERE fur you Duncan.... whenEVER you get back with us. We have had to have the same talk with our Lady . . . maybe our Lady's need to form a good Lady group! See you soon! Oh Duncan, I've had problems gettin' Ma's arse in gear too!!! What is with the peeps lately??!! Must be that Spring Fever, huh?! 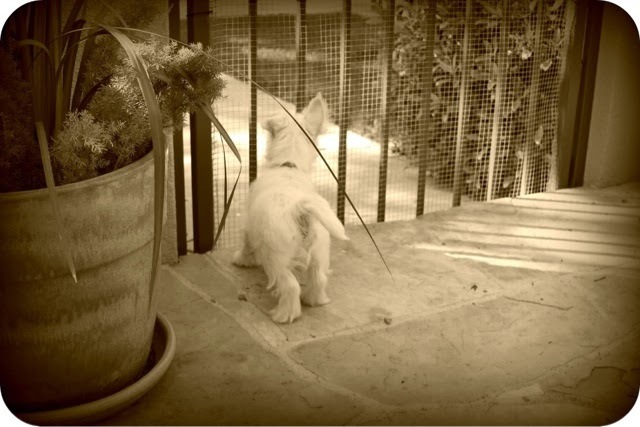 OMD, you were the cutest puppie evers!!!! Awwwwwwwwwe!! I feel your pain. My assistant is easily distracted as well. Hopefully, we will both be back on a regular schedule soon!